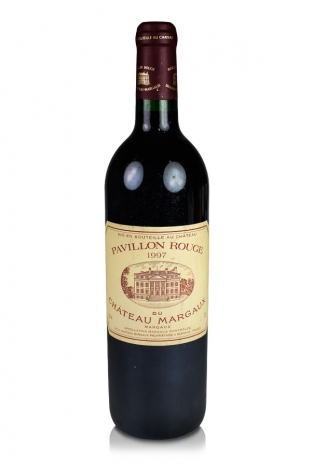 Pavillon Rouge is the second wine of the famous 1st. classed growth Château Margaux and is delimited to the Margaux A.O.C. 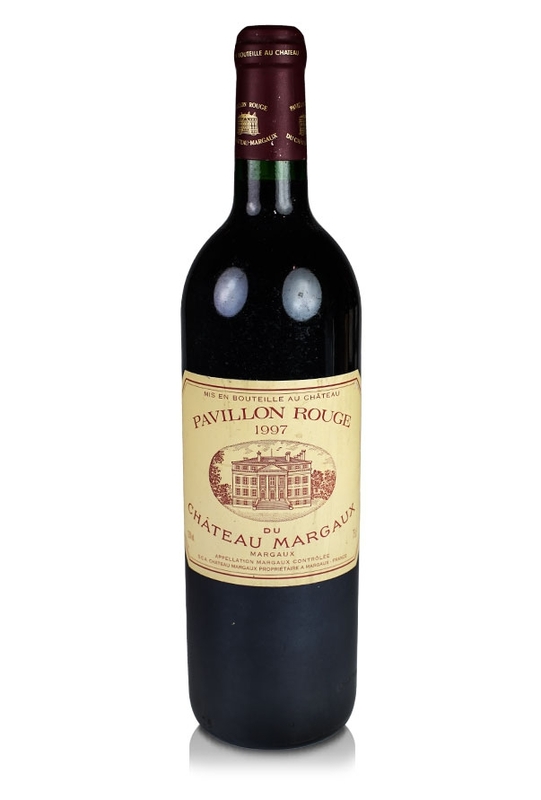 It is produced from grapes grown on the estate which are from younger vines and, although they are still subject to quite a strict selection, the resulting Pavillon Rouge is a fruitier wine which matures much more quickly that its grander stable-mate. In 1997 the blend was made up of 60% Cabernet Sauvignon and 40% Merlot. ".. a herbal, up-front, lushly-styled wine with plenty of pure fruit, medium body, and no harshness or aggressiveness in the finish." Although it is drinking very well now there is still no immediate rush to drink up. This wine will provide more than a glimpse of the quality of the estate's first wine, Ch. Margaux.